Clear Away Your Limitations And Free Your Creative Magic! When Freddie Mercury proclaimed, “I won’t be a rock star. I will be a legend,” you can see the power of words in action. This isn’t a new thing. We know that affirmations work. We know that there’s a power in positive thinking. 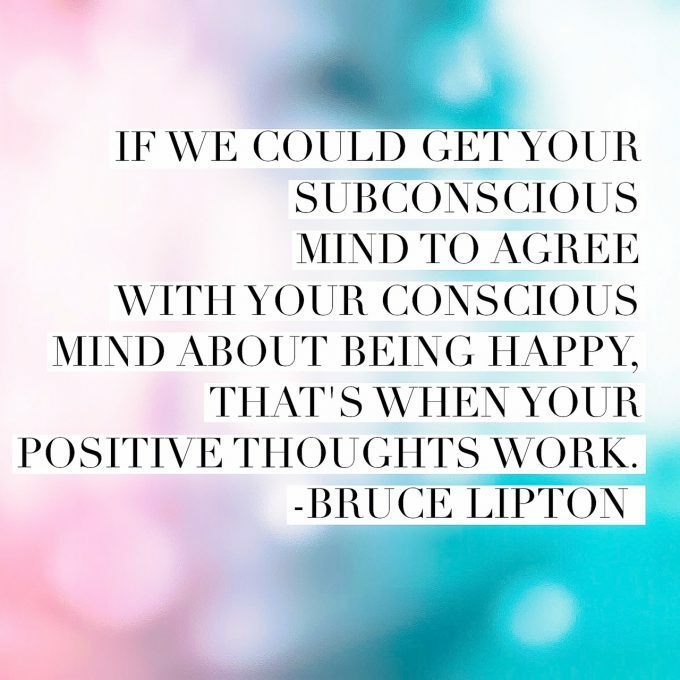 Dr. Bruce Lipton talks about BELIEFS becoming BIOLOGY – literally, your thoughts shaping your genetics. This is all scientifically proven. If you look at where things have not changed despite your best efforts- and maybe even all kinds of vision boards and affirmations- there are likely some beliefs beneath it all that are keeping things stuck in place. If you’re ready to open up to a whole new way of life, start revamping those beliefs… simply and completely! When I get into a space of art, everything is open and possible. When I get into a space of thought, too many things go haywire. 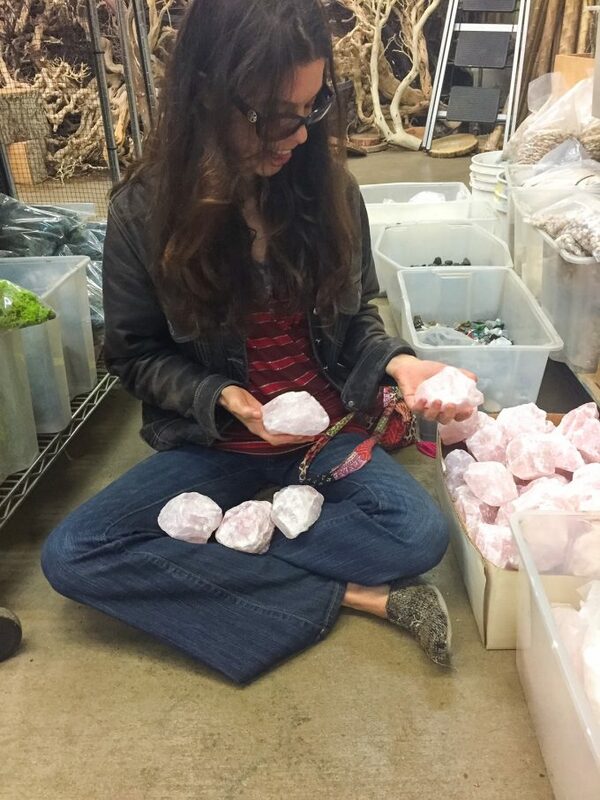 I stick to crystal shopping and hiking versus thinking and wondering now! A belief is defined as trust, faith, or confidence in someone or something. Whatever you think will create your reality, whether or not the thought is true, false or limiting are more likely to manifest into reality. A belief always comes before an action as explained by James Allen, author of “As A Man Thinketh”. Beliefs influence our behavior. In an effort to assess how our expectations and beliefs affect our behavior, Sara Bengtsson, a social cognitive neuroscientist in Stockholm, Sweden designed an experiment to test how positive versus negative expectations and beliefs can influence a person’s behavior. The researchers showed subjects positive words subliminally such as smart and intelligent and negative words such as stupid and ignorant to measure whether or not it would affect their performance on a test. As expected the students who were primed with positive words performed better than those who were primed with negative words about their performance. Also, after conducting brain imaging while simultaneously reviewing wrong answers, those who were primed with negative words did not exhibit any brain activity as opposed to the positive prime subjects. This indicated that subjects negatively primed expected to do poorly, and were therefore unaffected by a wrong answer. You can read more about this HERE. A self-fulfilling prophecy is when a person believes something is going to happen and subconsciously alters their behavior to make their prediction come true. It’s not that you think something and it “magically” gets served to you by fairies or The Universe. There are a series of actual processes that happen in the mind and in life that take an idea and make it come to life behind the scenes of your conscious brain activity. The perceiver’s expectations affects how he or she behaves in the situation or treats the target person. The situation or the target person is affected by the perceiver’s behavior in a way that confirms the perceiver’s initial expectation. Self-fulfilling prophecies are a demonstrated way that beliefs become realities. Cognitive dissonance is the psychologically held theory that when our actions do not align with our beliefs, we make alterations…subconsciously, to get rid of the dissonance that exists. So, let’s say that you have a belief that all famous artists are somehow irratic and you want to be a famous artist. You might find yourself becoming increasingly irratic as you get into your process, even if you don’t want to be irratic. The belief is so strong, it’s being modeled. 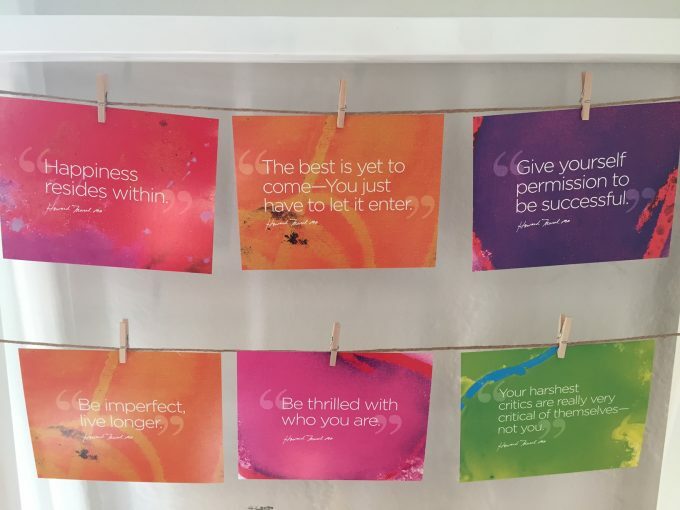 Dr. Murad, the skin guru, created these affirmation cards as part of his connected beauty philosophy. They aren’t meant to be just looked at, they’re meant to be worked with. Journal on the ideas, use them in life, use them as a springboard to hunt your own demons and they’ll make your life so much lighter. Practice is a big part of changing beliefs. Once you tap into the stuff that’s been off in your belief system, you can practice new beliefs… in action. Affirming new ideas is one thing, and practicing them is a whole level of real, lasting change. Practice strengthens neural pathways in your brain that create new realities! Explore modalities of change. There are so many exciting ways to change limiting beliefs using brain rewiting techniques. The Joy Immersion 30-day negativity detox explores many new ways to make those belief changes as part of an expansive lifestyle. One of the simplest to start with: taking walks. Use a walk every day to integrate both hemispheres of your brain and open up to new thoughts profoundly. Change your space. Changing your environment is the ultimate change-maker. Even if you don’t know a drop of feng shui philosophy, you can still make big space changes by simply shaking things up! 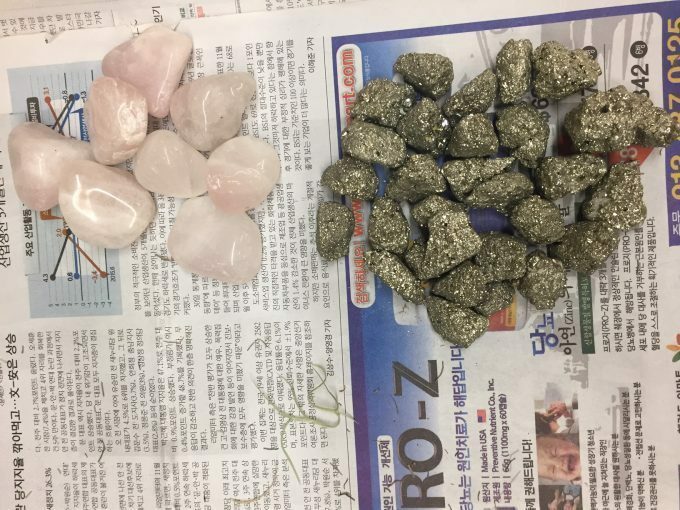 When you dial into some specific feng shui, you take the change-making to a whole new level. Simple stuff challenges the beliefs you once held fast in your mind and allows you to transform your mind so your creative magic becomes unlimited!!! Previous post: Feng Shui To Let Go Of Pressure & Open Up To Creative Genius! Next post: A Wellness Bath Collection To Love!